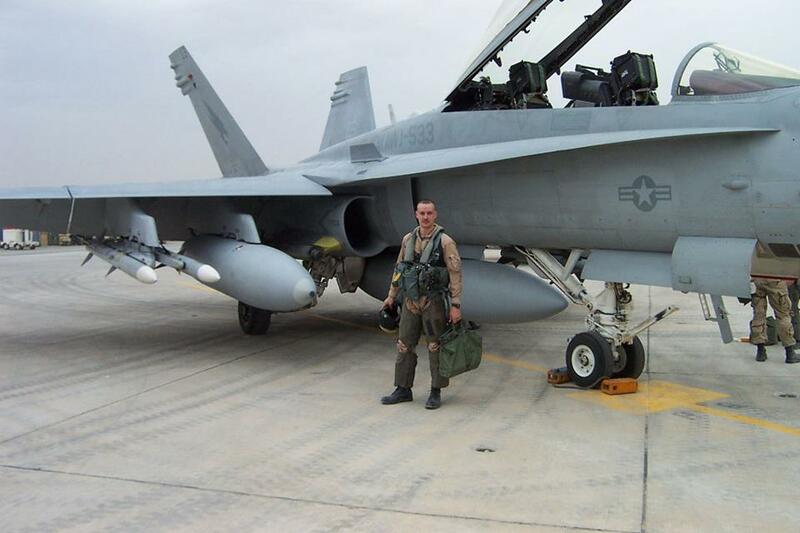 Maj. Samuel Griffith, a former F-18 driver with VMFA 533 and volunteer FAC (forward air controller) was killed in action In Helmand Provence Afghanistan on Dec 14th 2011. It was June 12 in the Sangin Valley in southern Afghanistan. U.S. Marines had been fighting the Taliban all day and had suffered heavy casualties, including two killed. Several resupply convoys had been turned back by enemy attack. The Marines were running low on food, water, ammunition and medical supplies. 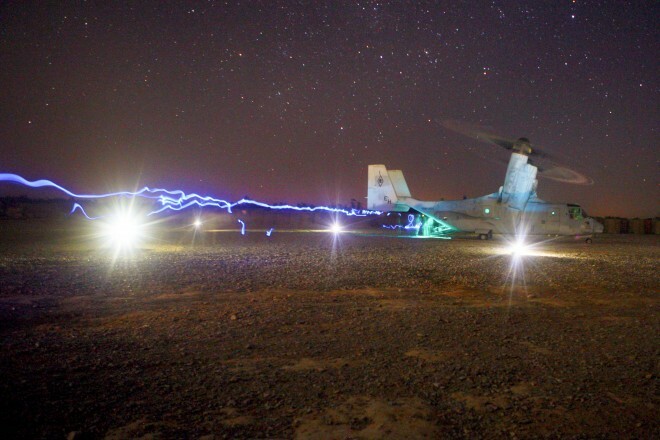 That’s when the Marines’ V-22 Osprey tiltrotor swooped in, carrying life-saving supplies — and machine gun fire. Maj. Aniela K. Szymanski, the Civil Affairs Group team leader in Now Zad, Helmand province, Afghanistan, greets the deputy district governor, Haji Saied Abdul Quyum, at his compound, April 8. The meeting between Szymanski, Marines with the Female Engagement Team, and the district governor, Saied Murad Sadat covered the growth of the Now Zad women’s center, the local schools and other upcoming community improvement plans. CAMP LEATHERNECK, Afghanistan – The female engagement team in Now Zad, Helmand province, Afghanistan, is pushing for the speedy development of a women’s center, new school and other community projects. In an effort to move the plans along, the Marines and their interpreter met with the district governor, Saied Mourad Sadat, at his compound, April 8. They have made progress in the short time they have been here, but acknowledge there is still a long way to go. The focus of the meeting was largely on the efficient development and management of the women’s center, but also on the female population in Now Zad as a whole. Staff Sgt. Martha Warren, the staff non-commissioned officer in charge of the Regimental Combat Team 8 FETs, asked the district governor what specific problems women in his district were having. Warren, of Stone Park, Ill., also asked what specific impact FET was having on the local community. This is one of the main objectives of FET: to give women the skills and knowledge they need to make a living for themselves or to help support their husbands and families. They also discussed the hiring of a custodian for the women’s center, and how to teach local woman skills such as agriculture and sewing. “I would love to say that by my first [mission break] I will have a full-time custodian at the women’s center, chickens for the coops, and sewing machines so the women could sew uniforms for Government of the Islamic Republic of Afghanistan public schools,” said Abida, an Arlington, Va., native. Abida felt that progress was made, and plans to meet in the near future to continue discussions were set. The district governor closed the meeting with an invitation for the FET Marines, and others with their unit, to join him for a dinner at his compound later that evening. The dinner included a bonfire, traditional Afghan meal, music and hookah, but little talk of business. The dinner was more about a celebration of the growing working relationship between the Marines and the people of Now Zad. The official US MC policy is that females may not serve in the Infantry, Armor, or Artillery units. That policy has been altered to allow Female Marines to accompany patrols into the Afghan countryside in order to communicate with the local men and women in ways that local customs do not allow their male counterparts to accomplish. Cpl. 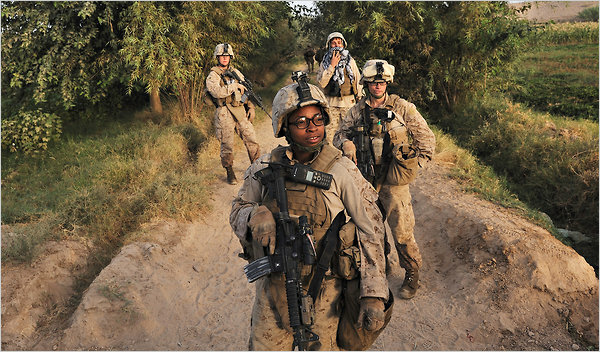 Christina Oliver, center, and other female Marines attached to a male battalion patrolled recently in Helmand Province. MARJA, Afghanistan — They expected tea, not firefights. But the three female Marines and their patrol were shot at late on a recent day, when a burst of Kalashnikov rifle fire came from a nearby compound. The group hit the ground, crawled into a ditch and aimed its guns across the fields of cotton and corn. Audio Interview with VMI grad, Capt. Emily Naslund. CO of the Female Engagement Team in Helmund Province Afghanistan. Lance Cpl. Davide Perna , a 20-year-old fire team leader, with 3rd Platoon, Bravo Company, 1st Battalion, 3rd Marine Regiment, renders a salute in front of the memorial of Lance Cpl. Jacob A. Meinert, during a memorial ceremony at Forward Operating Base Spin Ghar, Jan. 20. Meinert, 20, from Fort Atkinson, Wis., was killed, Jan. 10 while conducting combat operations in Afghanistan's Helmand province.